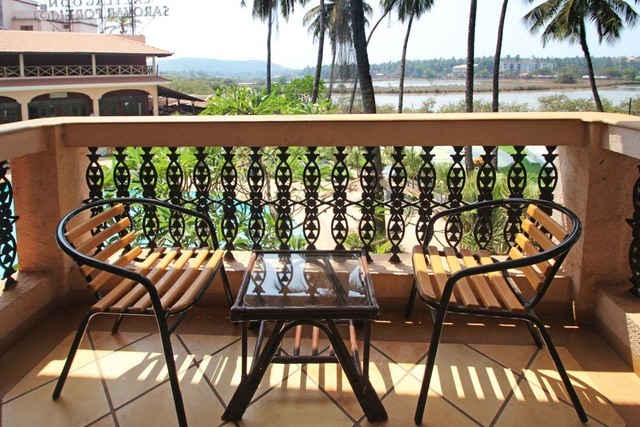 Overlooking the ebb and flow of the scintillating Baga creek, you will find Goa in a nutshell at Lazylagoon, nestled amidst salt pans. 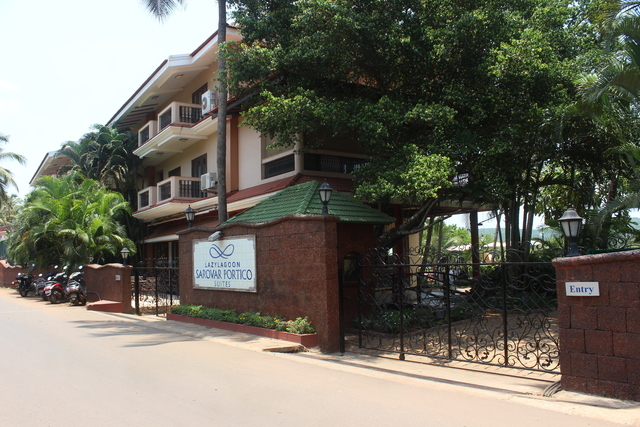 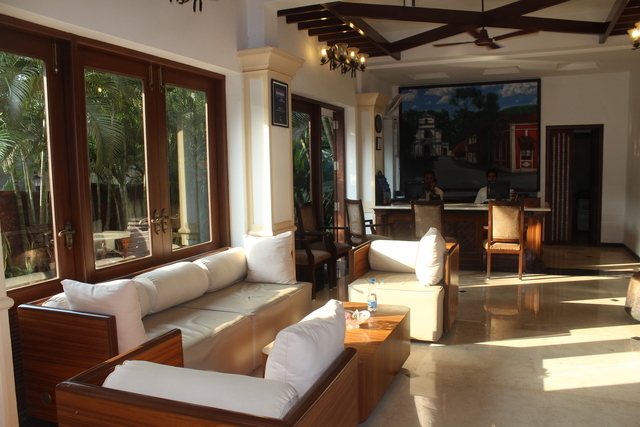 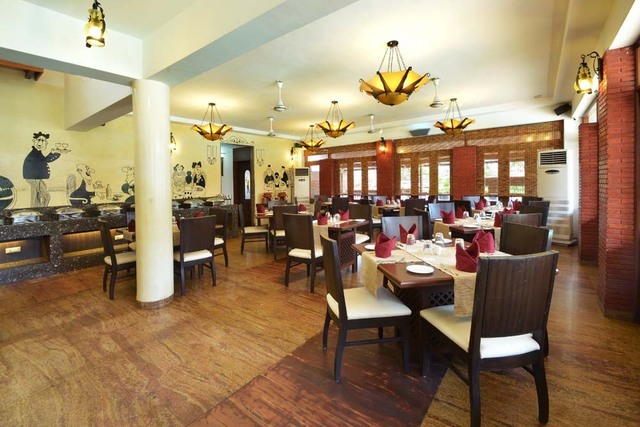 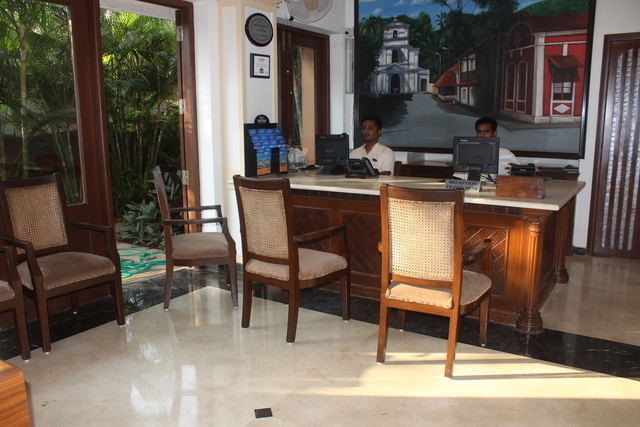 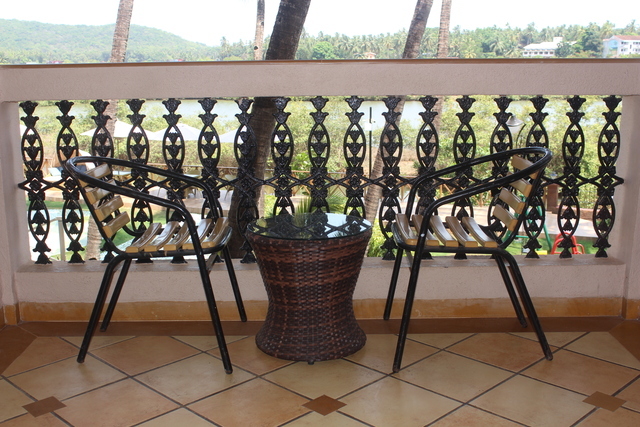 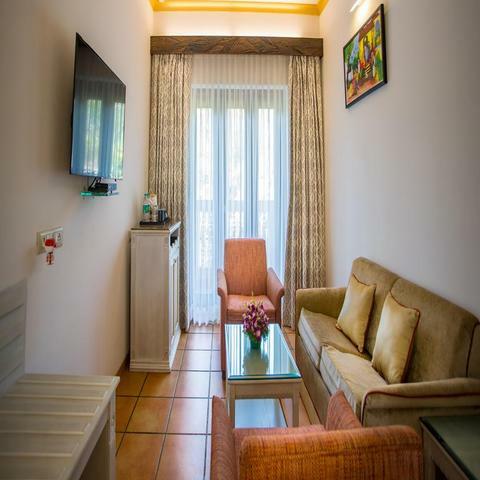 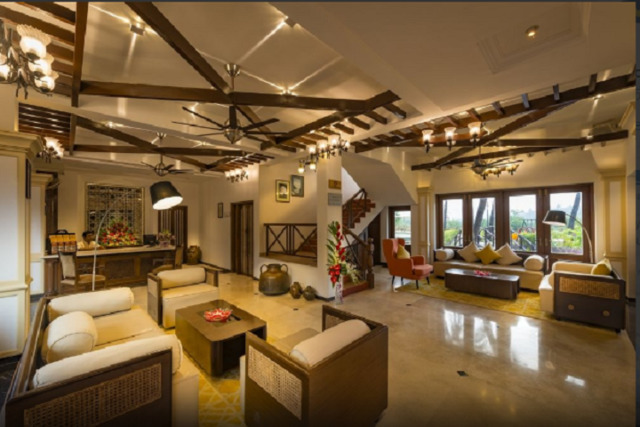 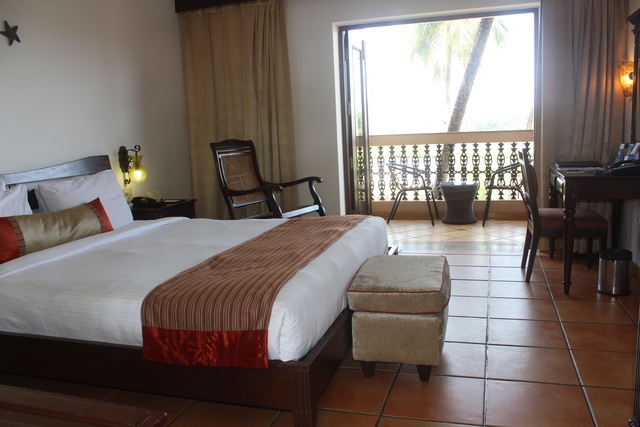 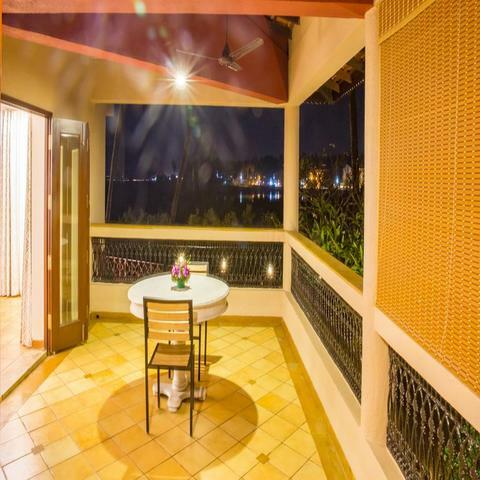 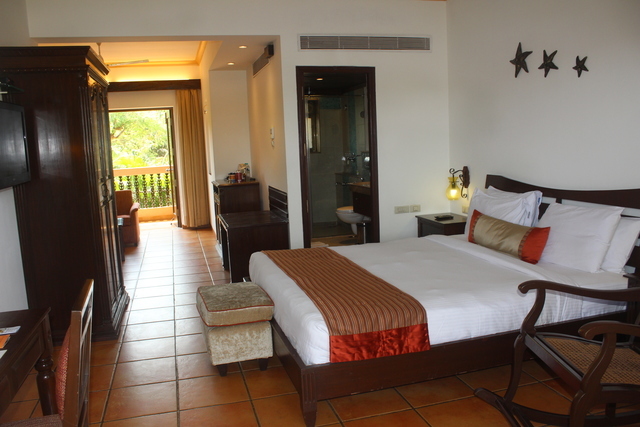 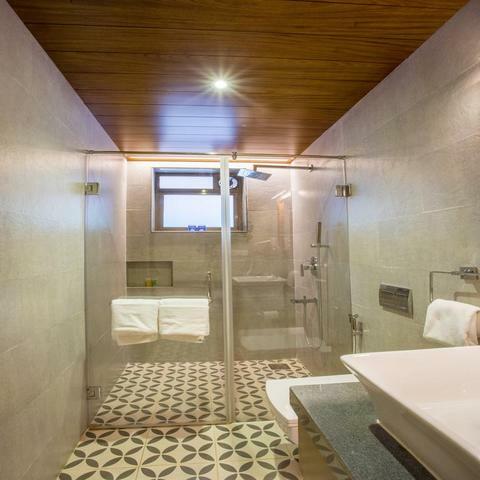 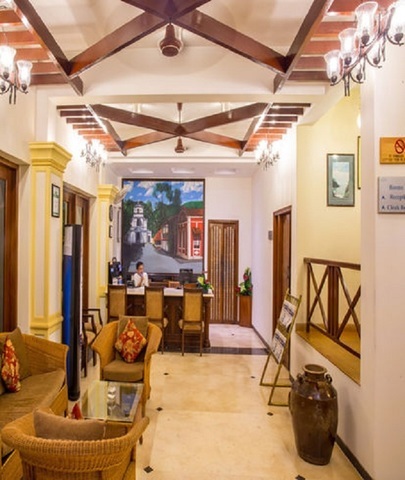 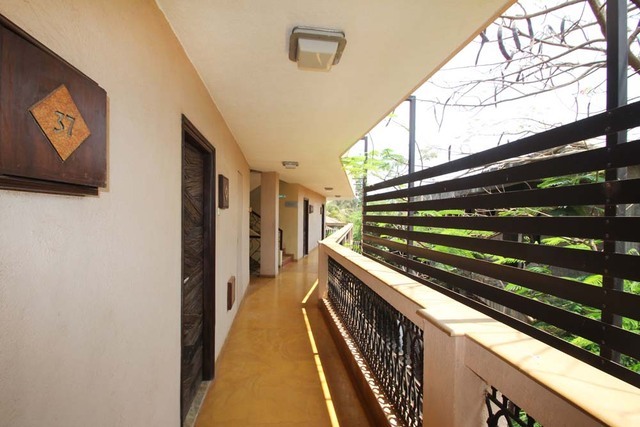 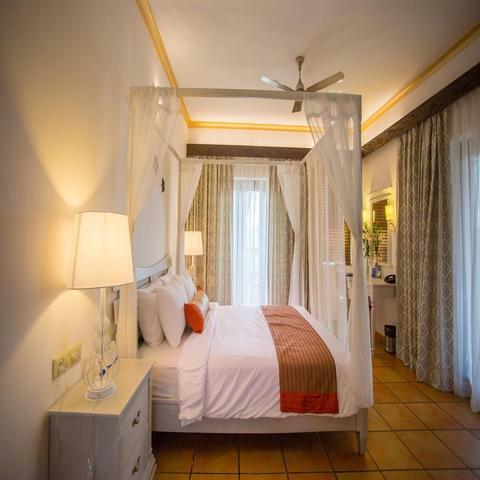 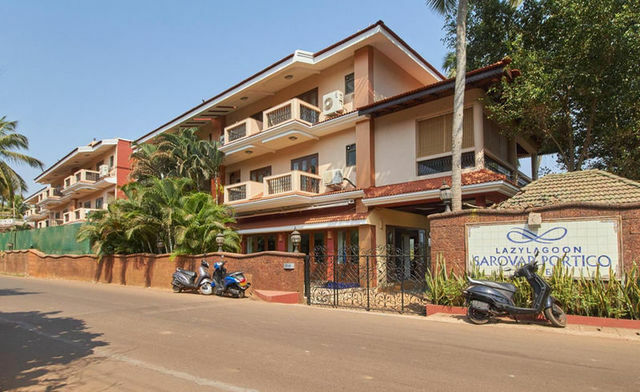 One of the best 4-star resorts in Goa, the Lazy Lagoon Sarovar Portico Suites located at Baga -Arpora Goa Bardez, Arpora will offer you an experience that will make you enthral in a truly Goan vibe. 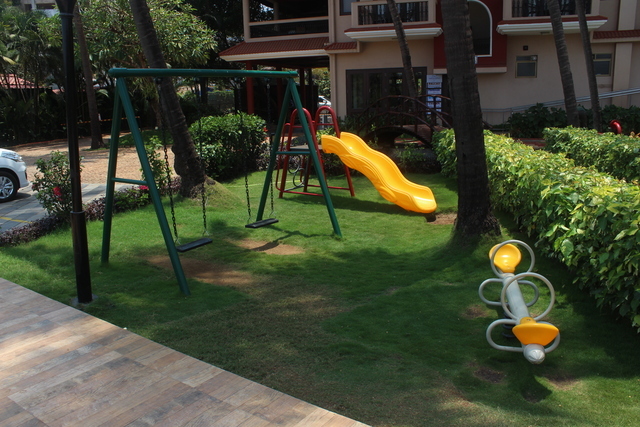 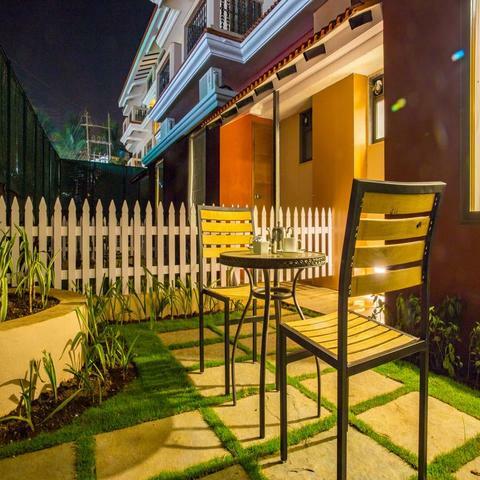 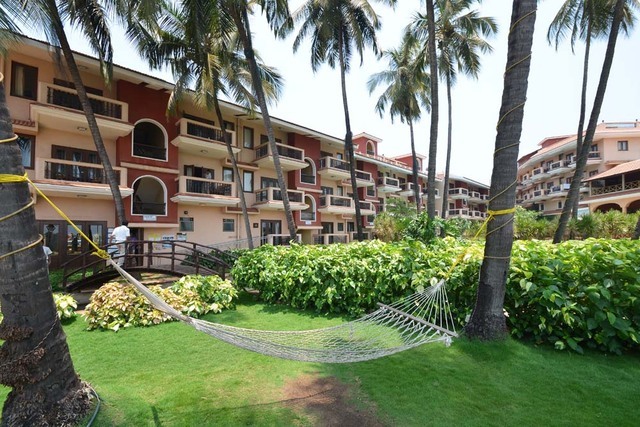 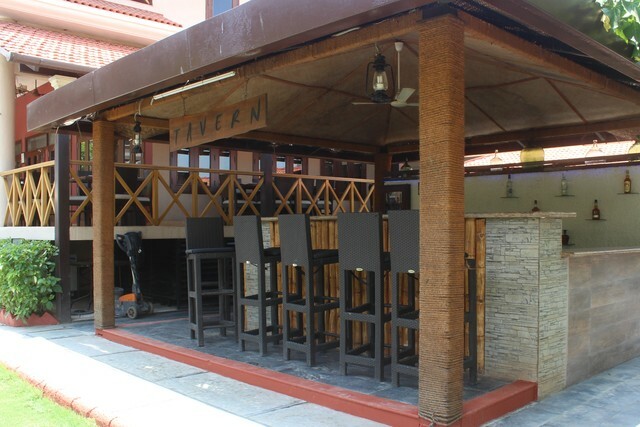 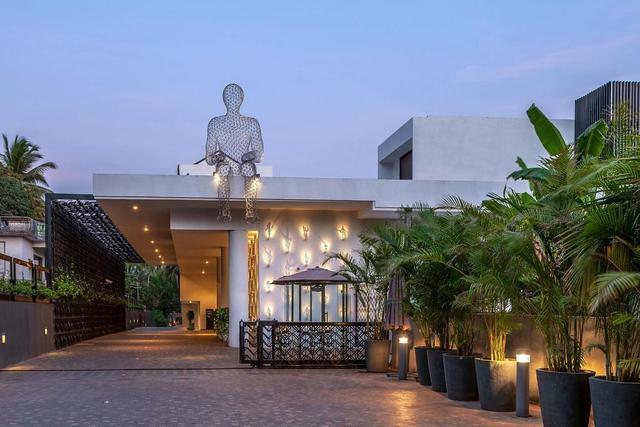 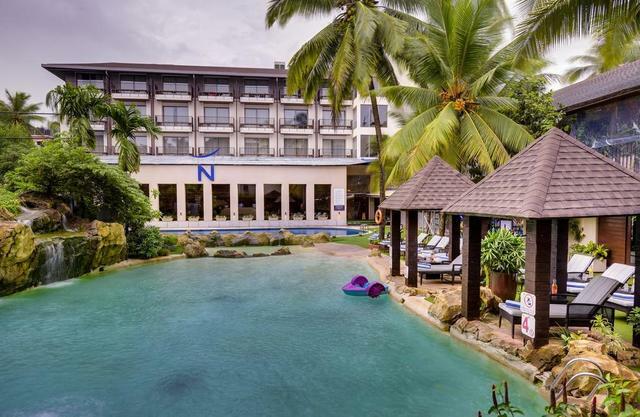 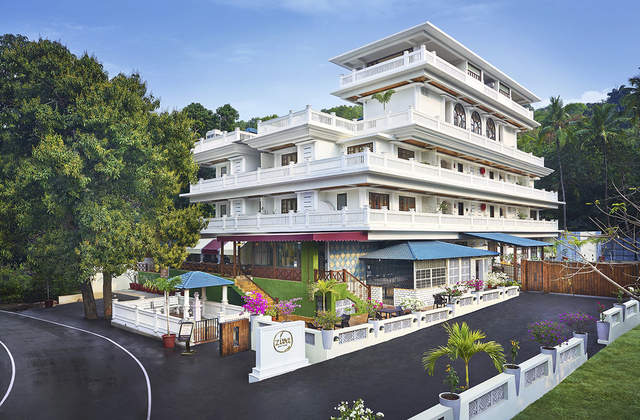 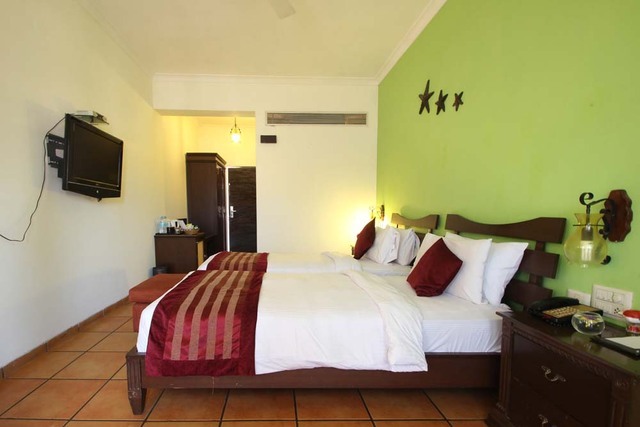 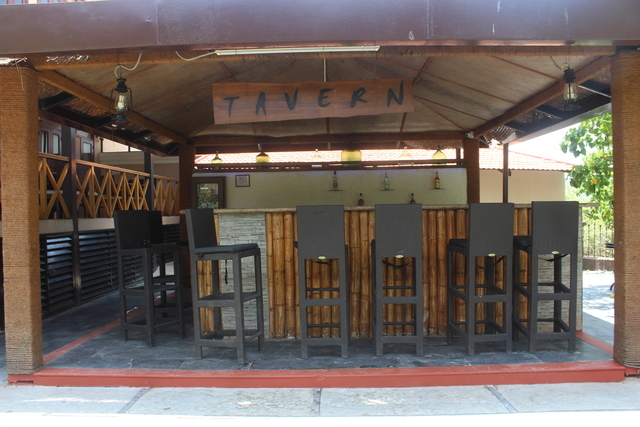 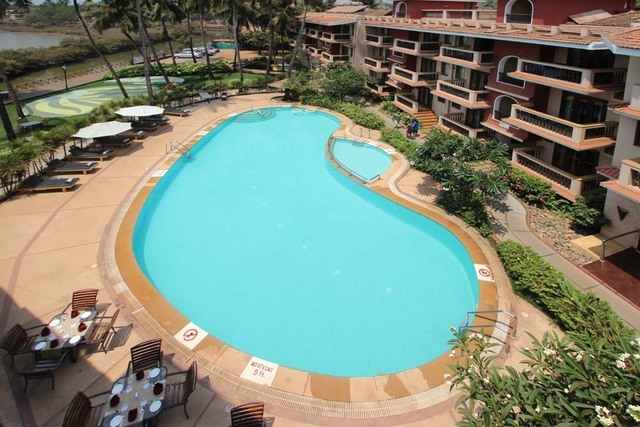 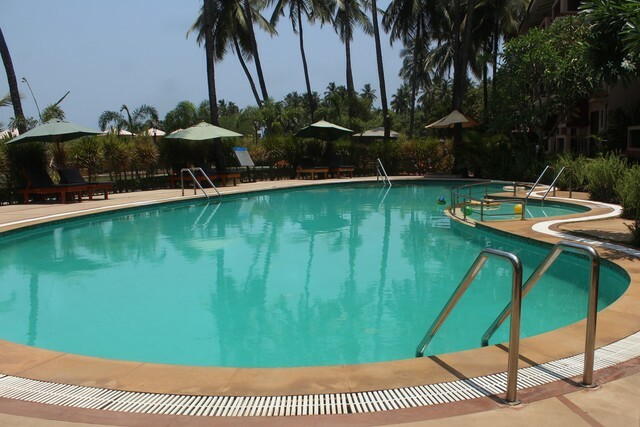 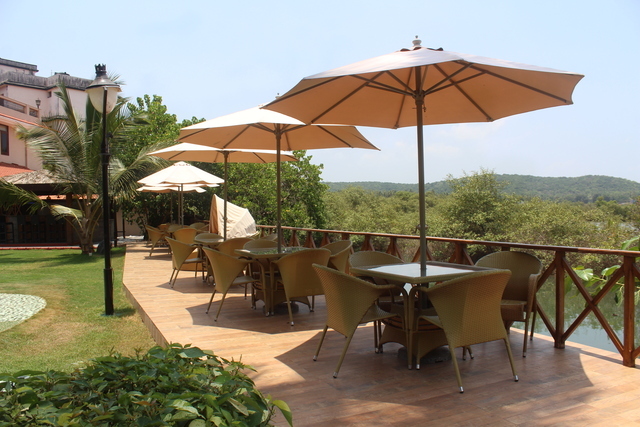 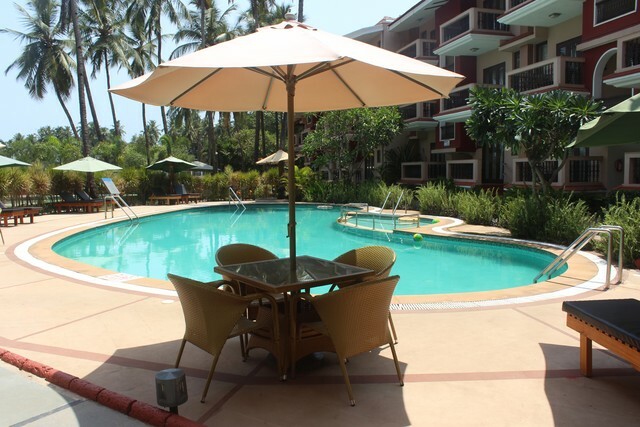 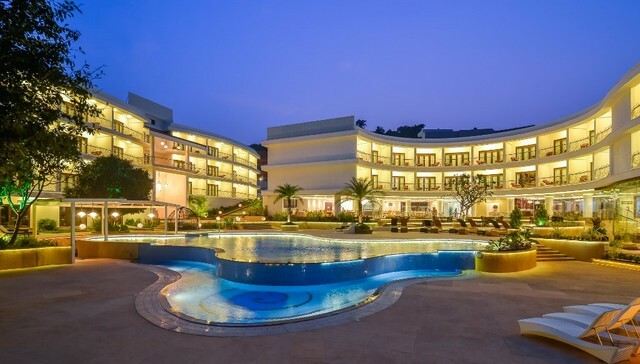 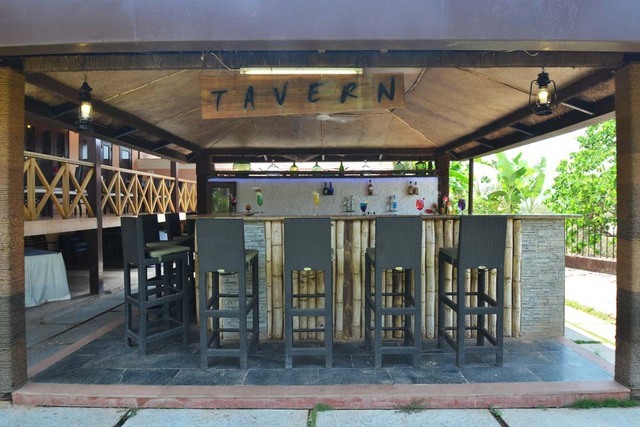 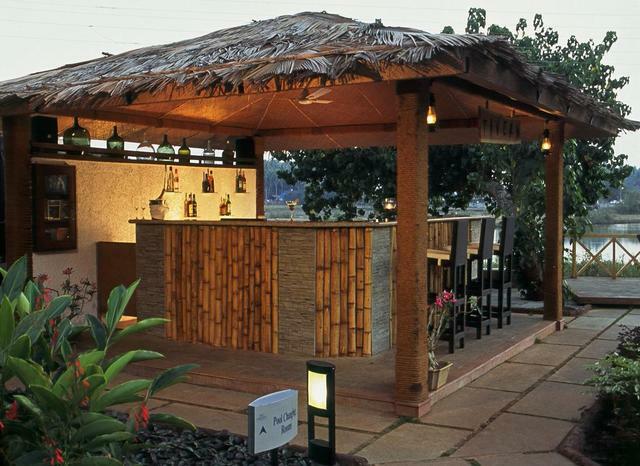 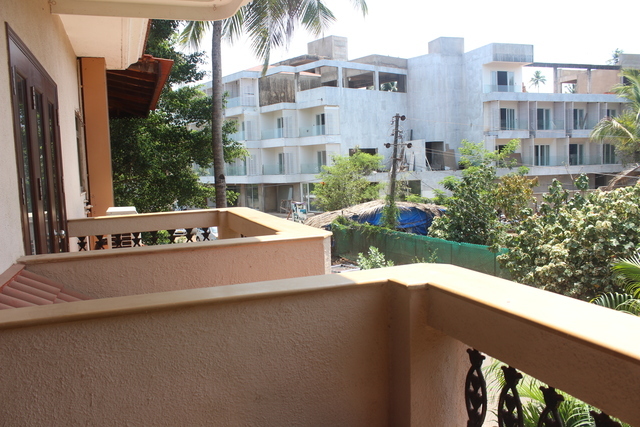 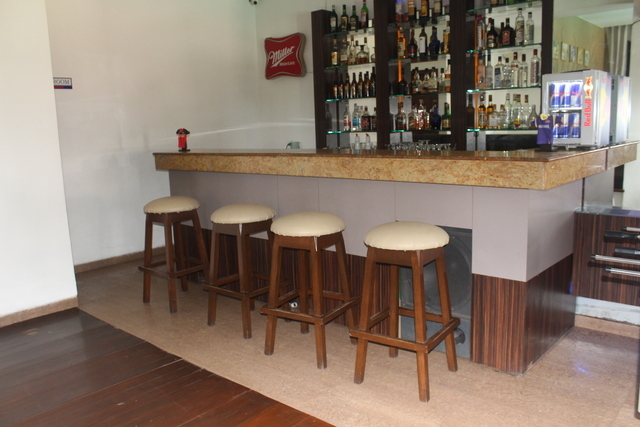 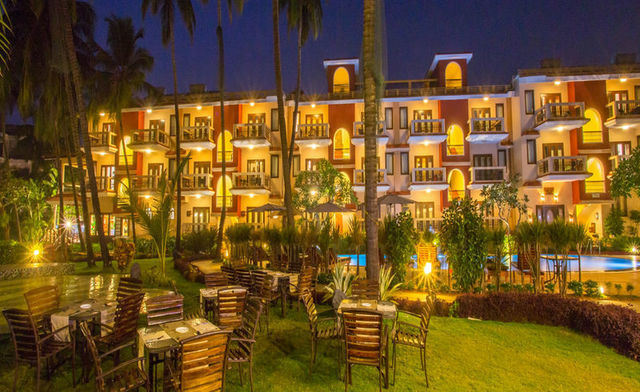 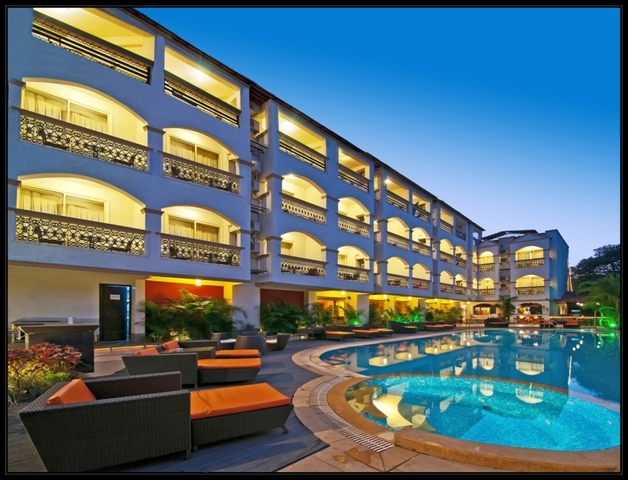 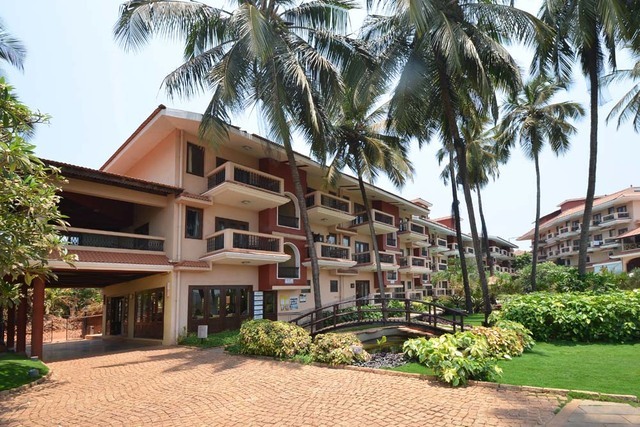 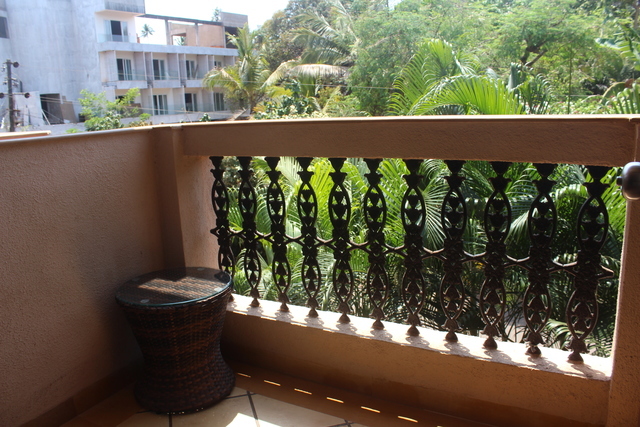 Located 19 km from Thivim railway station and 41 km from Dabolim airport, this resort overlooking the Baga Beach is a haven for adventure enthusiasts and party lovers. 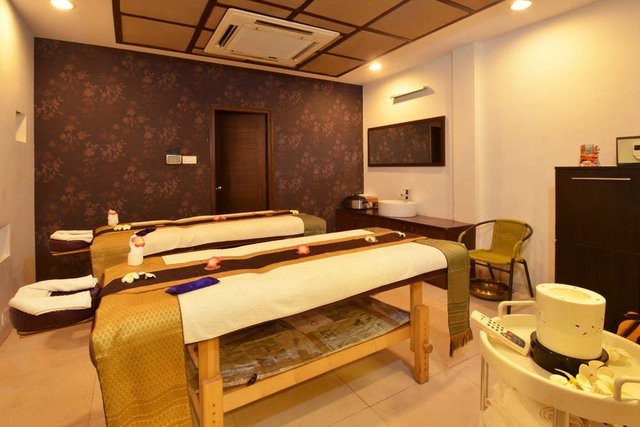 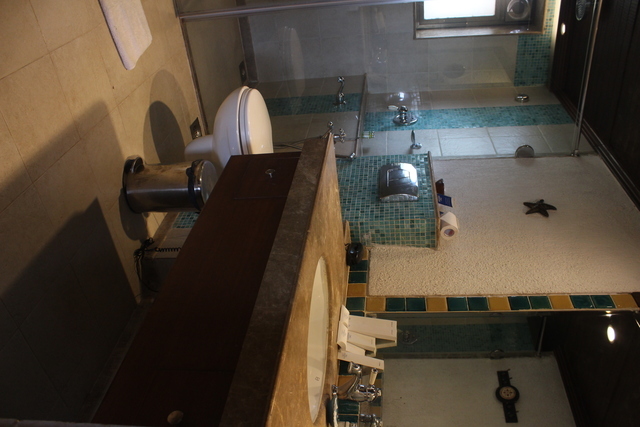 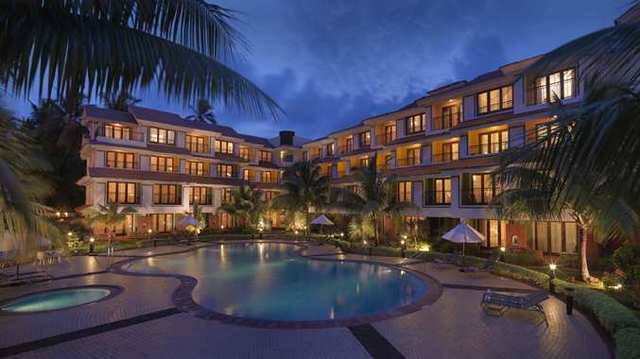 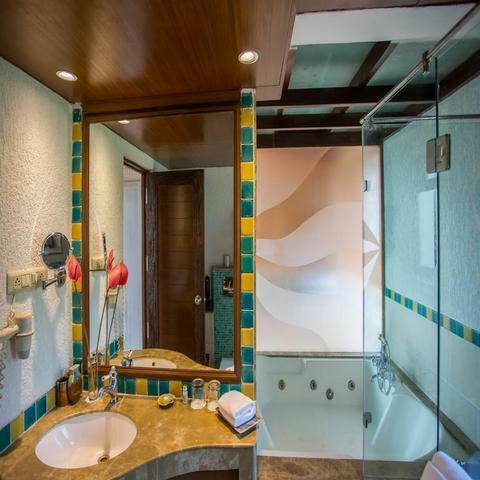 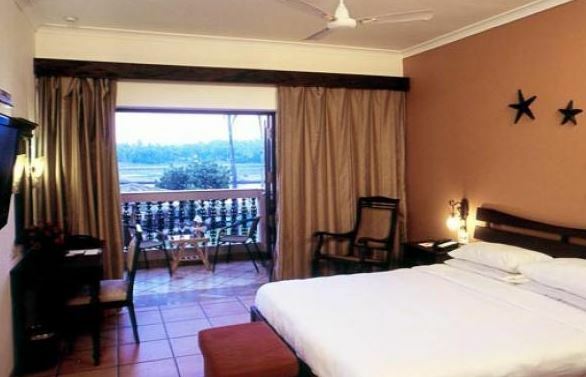 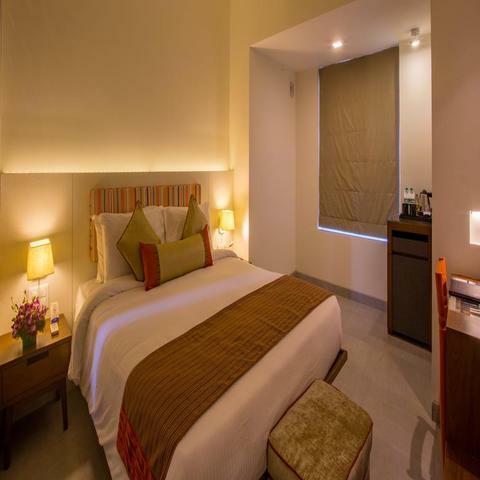 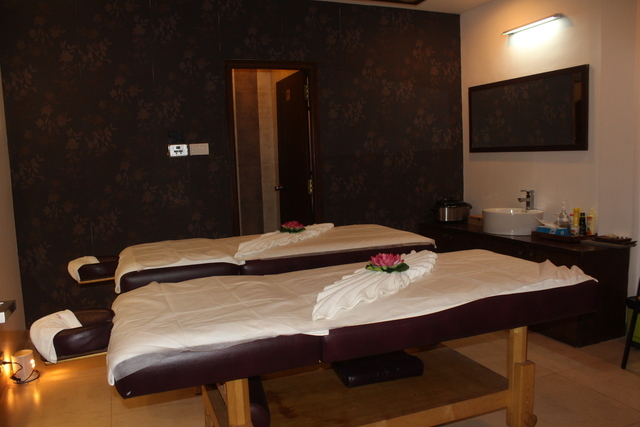 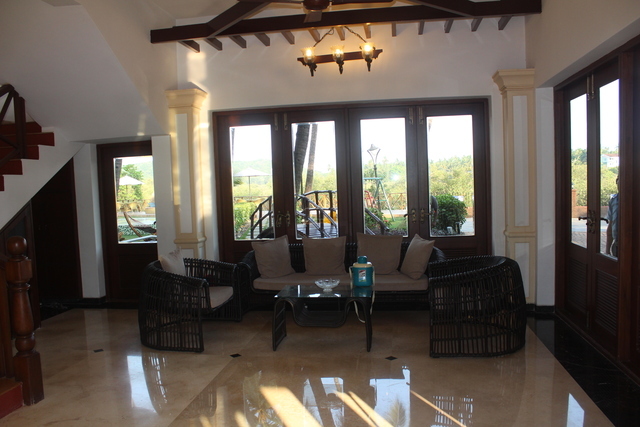 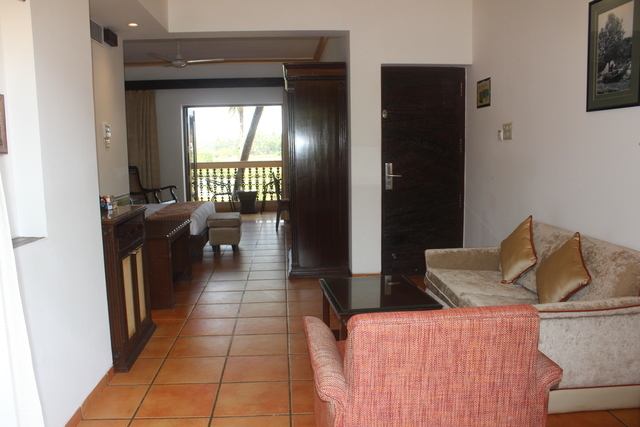 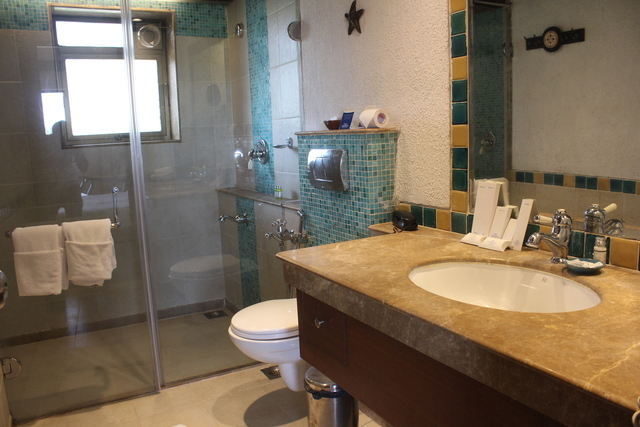 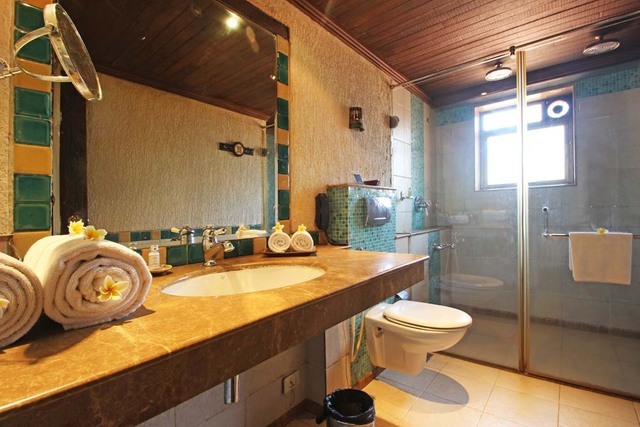 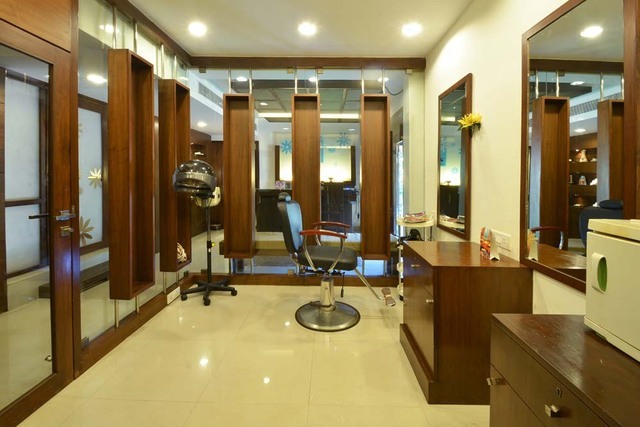 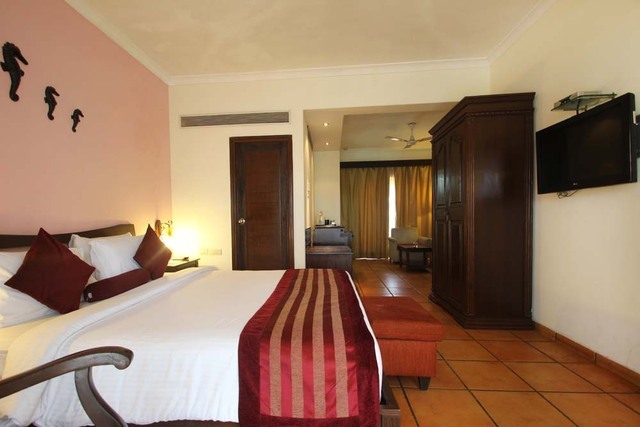 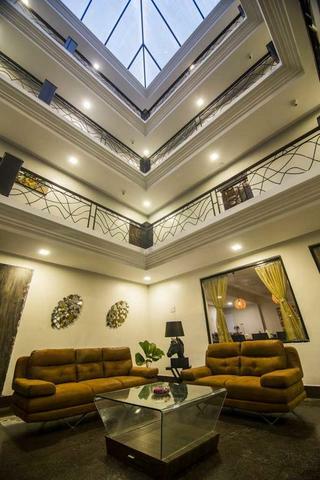 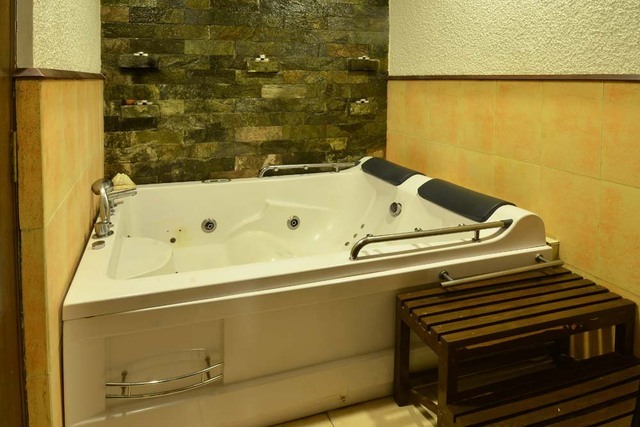 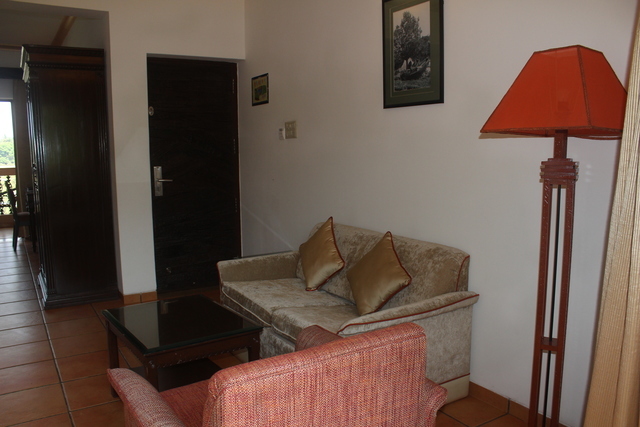 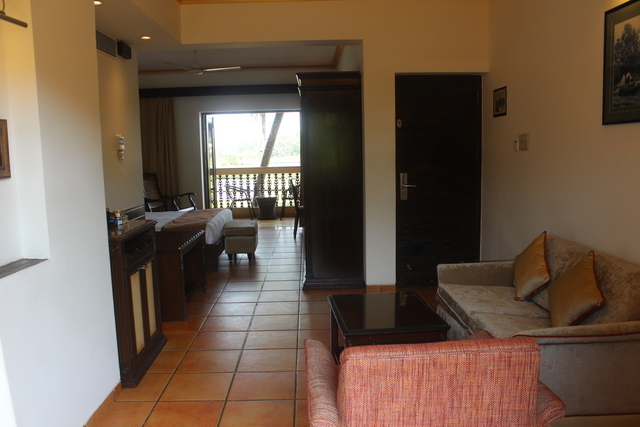 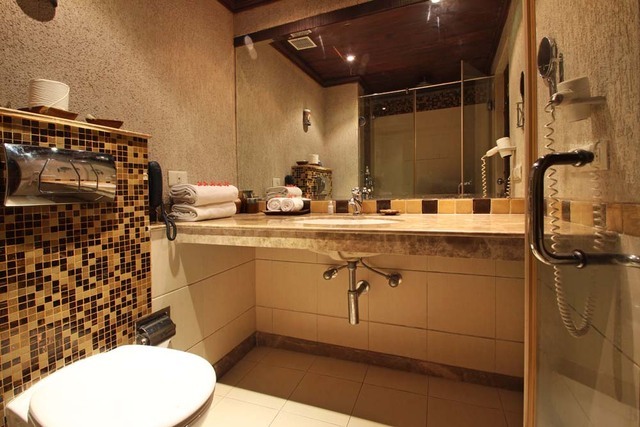 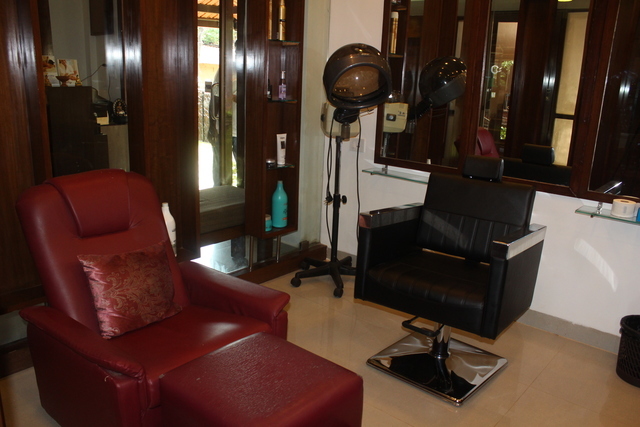 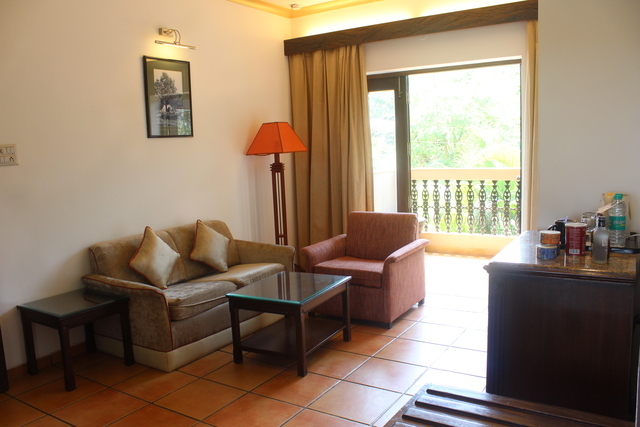 The resort offers 39 lavish rooms which are categorised as Executive suites, Suites, Garden deluxe, Superior twin and suites with round the clock room service and modern amenities like air-conditioning, satellite television, wi-fi access, tea/coffee maker, minibar, housekeeping and attach bath with toiletries. 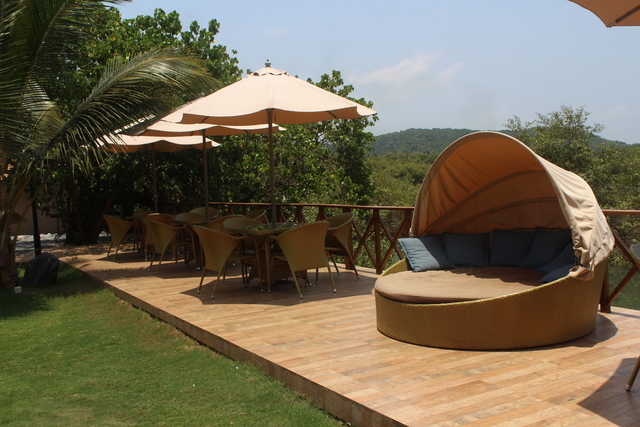 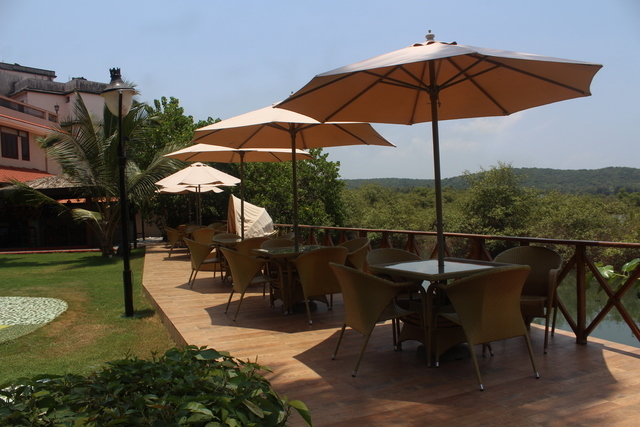 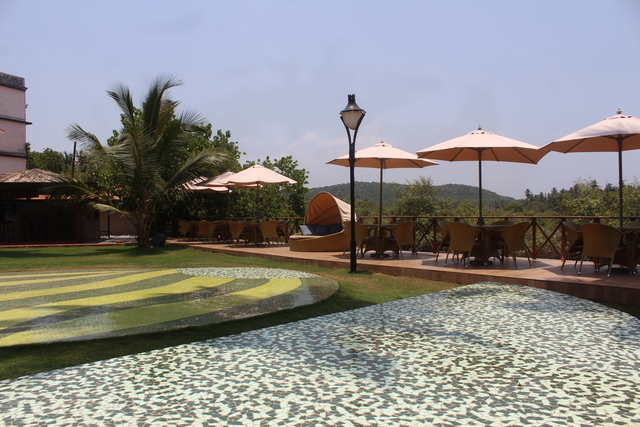 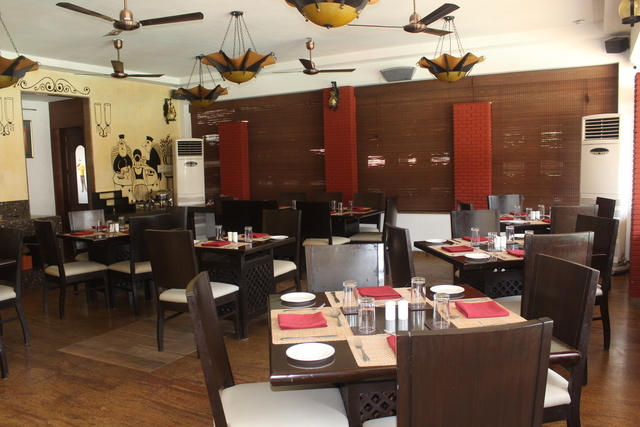 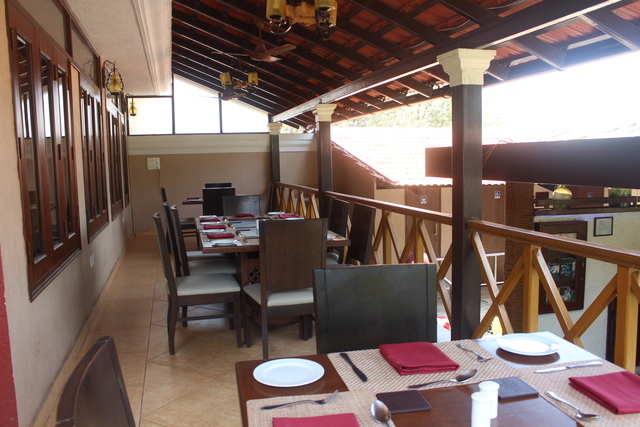 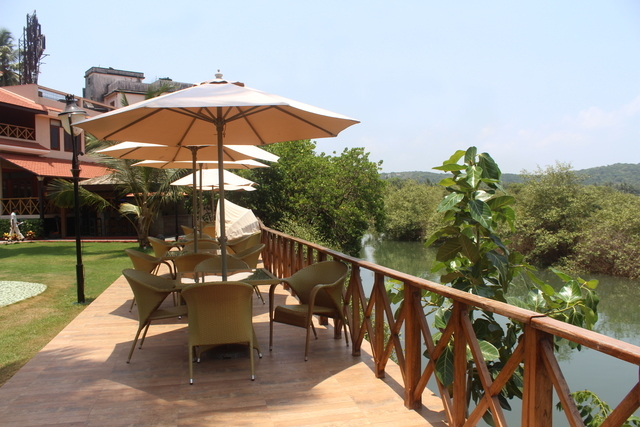 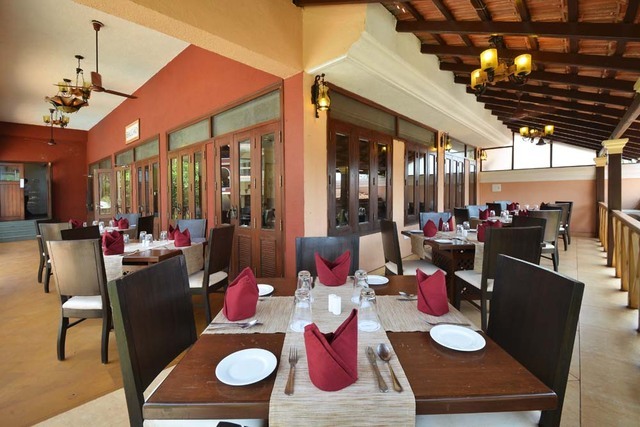 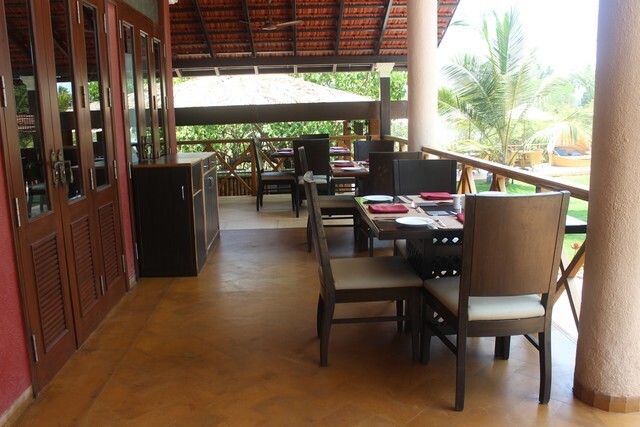 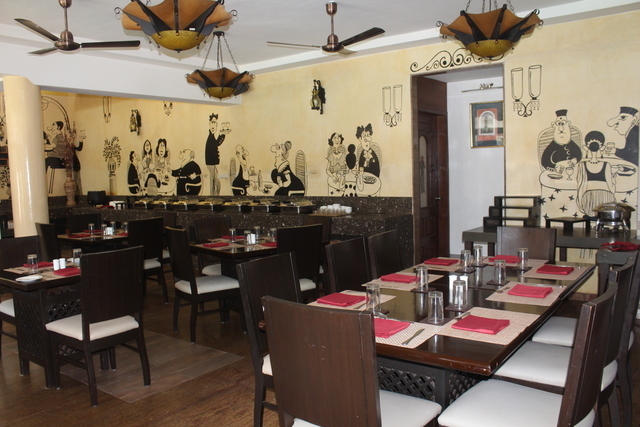 The resort house some of the best restaurants in Goa - Balcao, a multi-cuisine restaurant; Promenade, a swanky open-air restaurant; and Tavern; an exquisite poolside bar; and Ola, a happening pub. 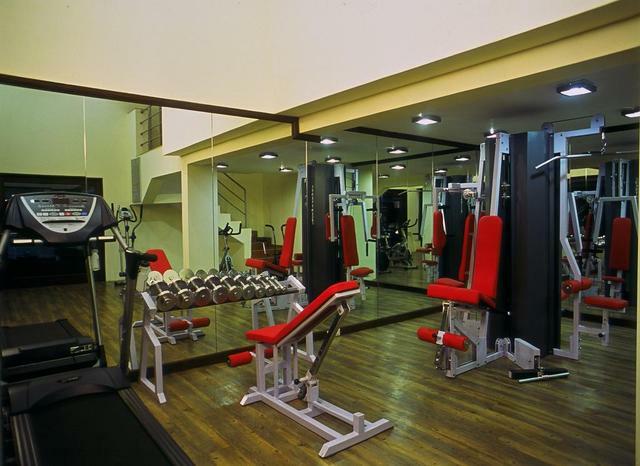 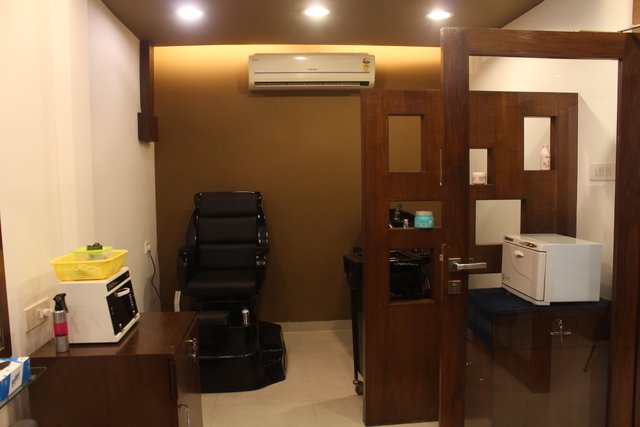 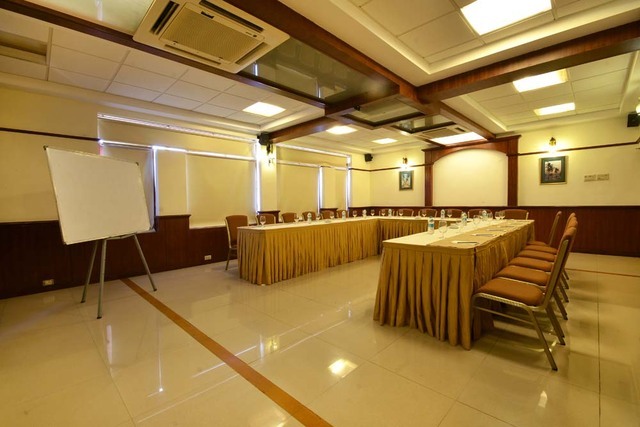 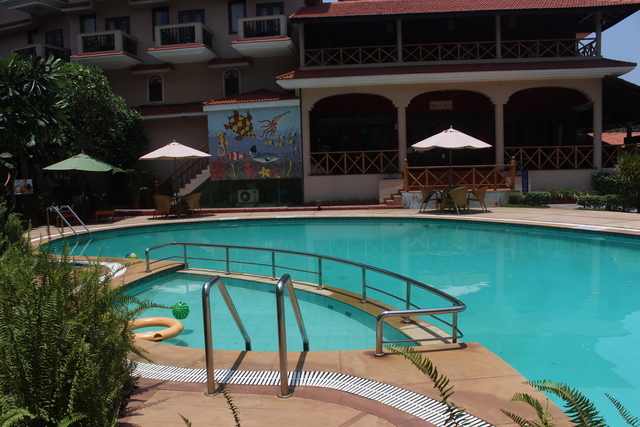 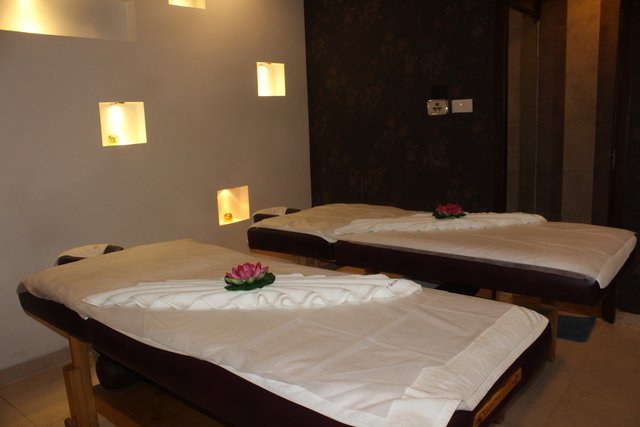 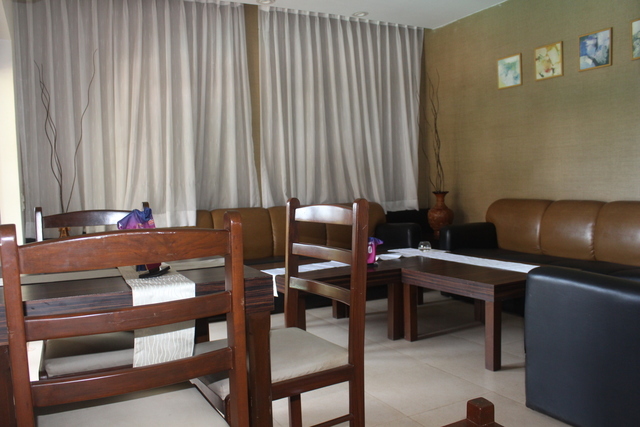 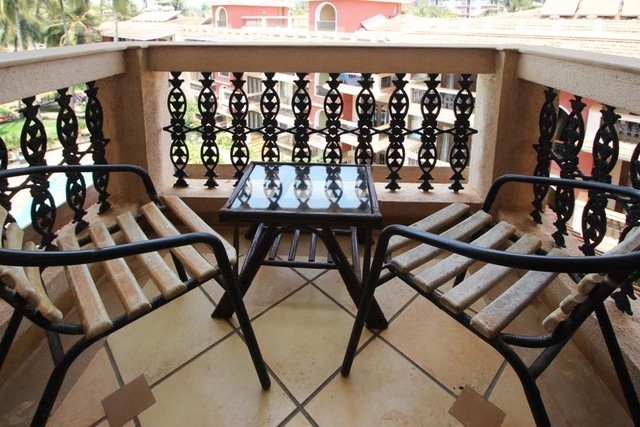 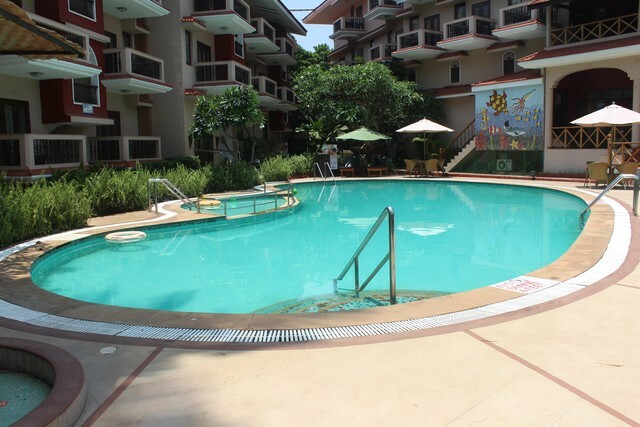 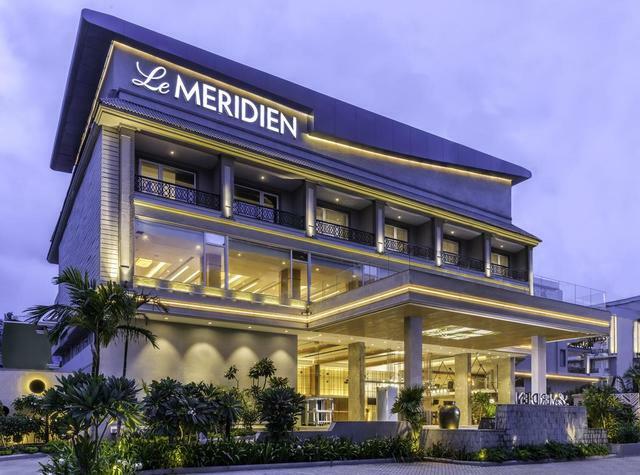 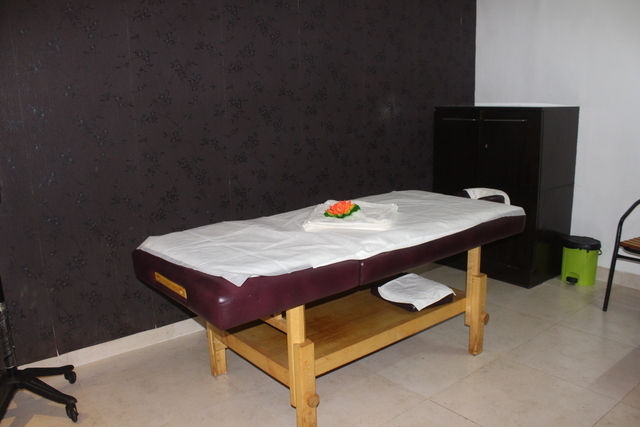 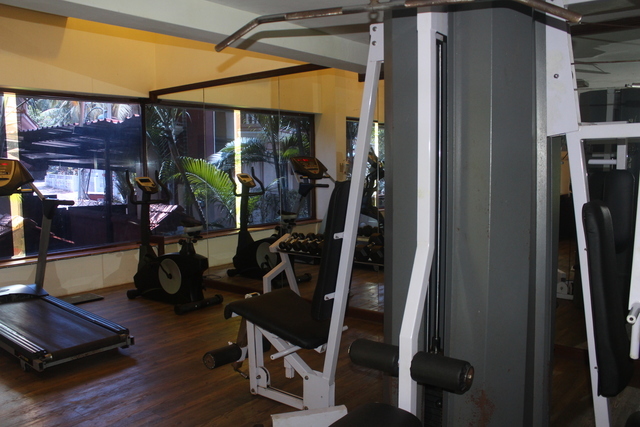 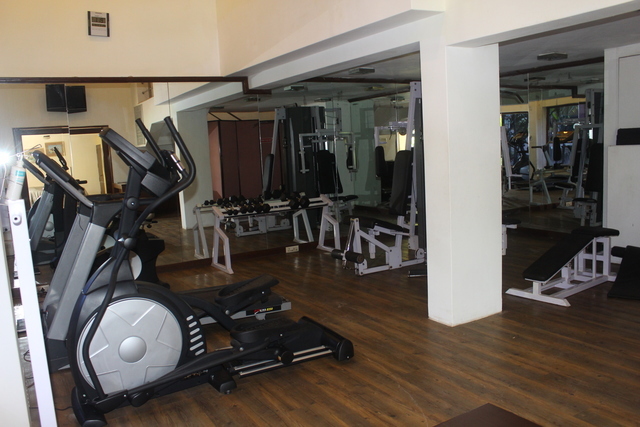 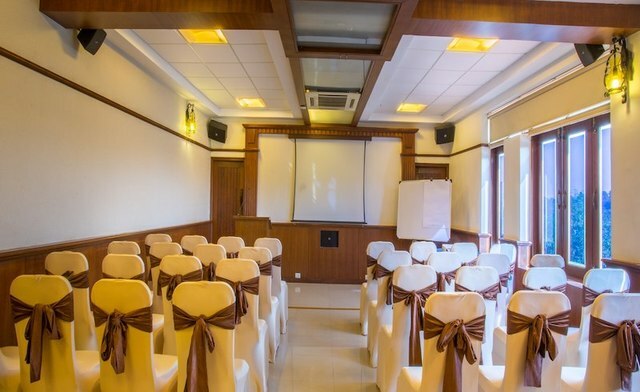 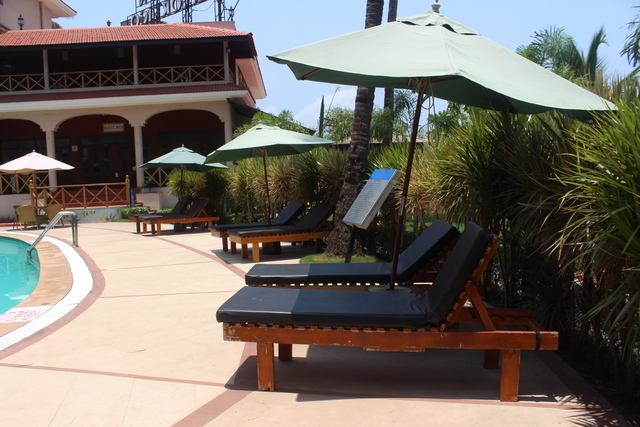 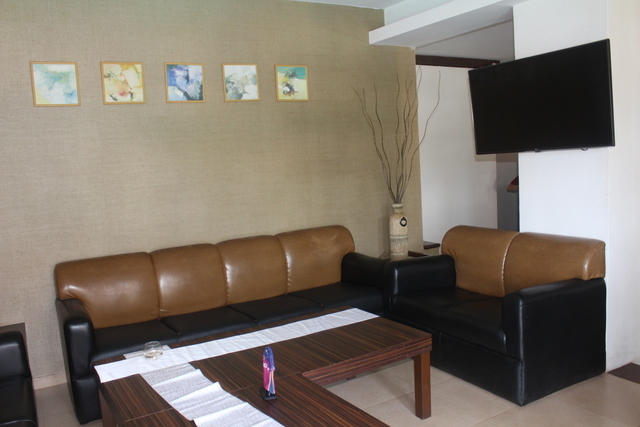 The hotel also has a refreshing outdoor pool, a well-equipped gym, a coffee shop and conference facilities for the guests. 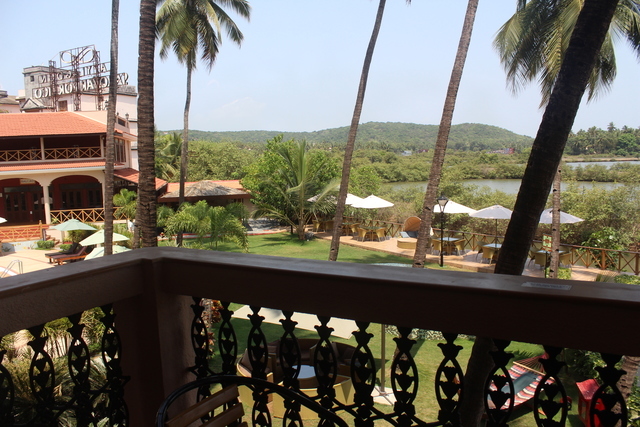 One can never fall short of things to do in Goa. 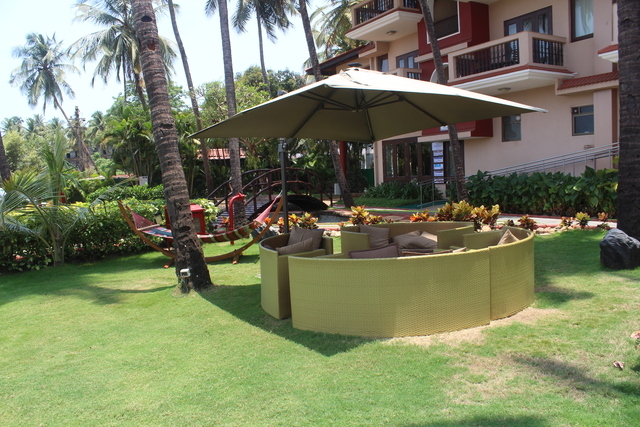 Laze around on the soft sands at the pristine beaches or enjoy some thrilling water sports. 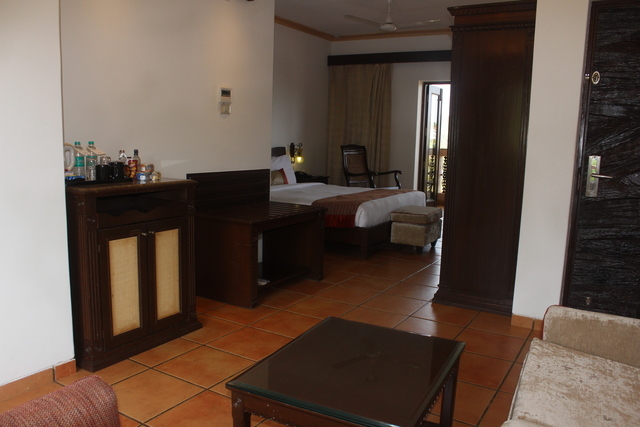 Go for a trek, plantation visit, heritage walk, or revisit history at the various museums. 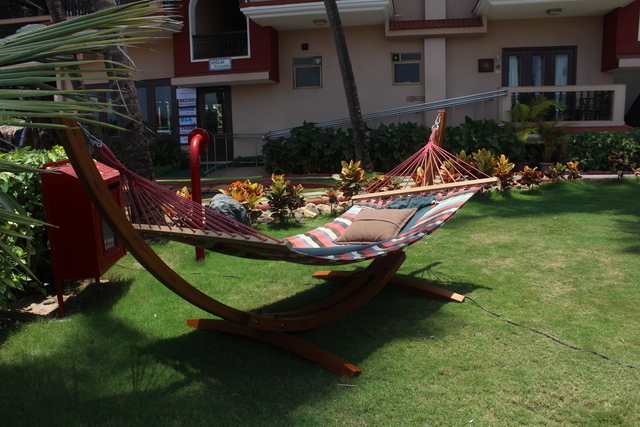 Go dolphin sighting or embark on a sunset cruise. 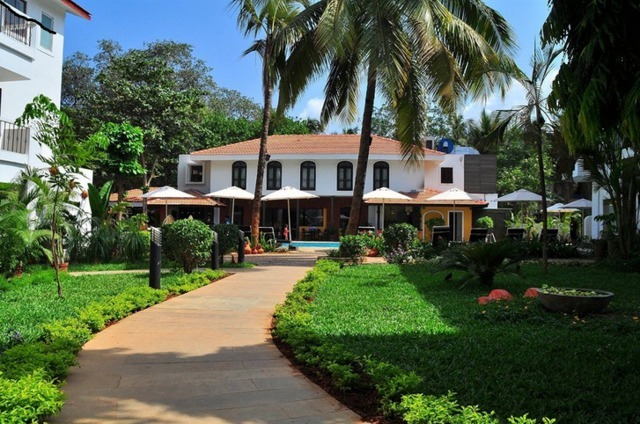 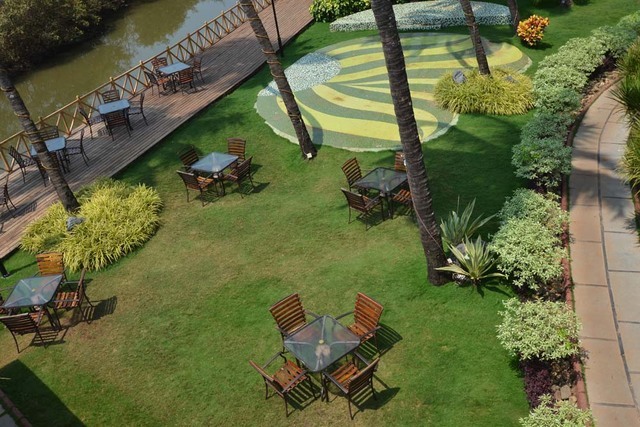 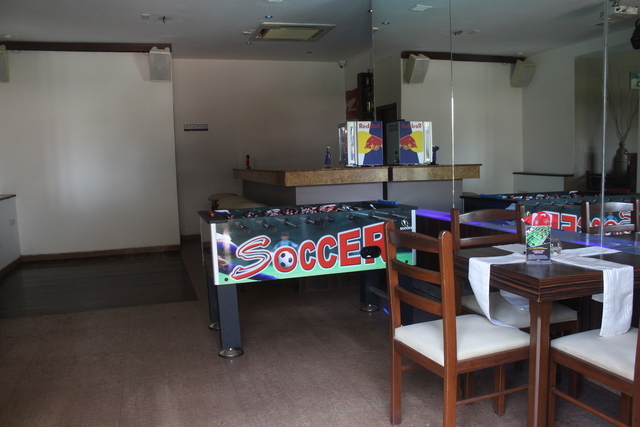 Experience the vibrant nightlife of Goa and try your luck at the casinos. 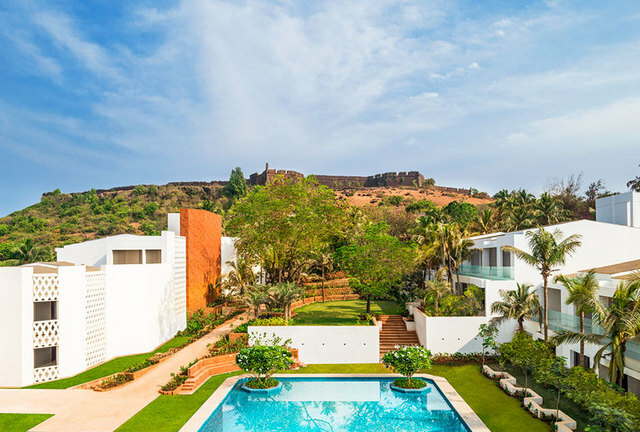 Some interesting places to visit in Goa are Basilica of Bom Jesus, Shri Mangueshi Temple, Aguada Fort, Chapora Fortress, and Dudhsagar Falls. 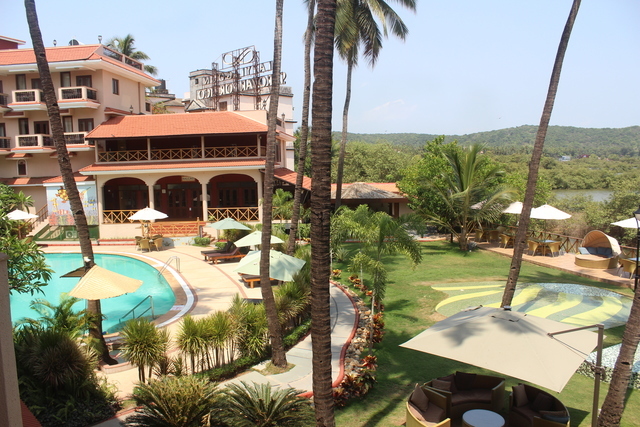 New Year celebrations and the Goa Carnival in February are not worth missing. 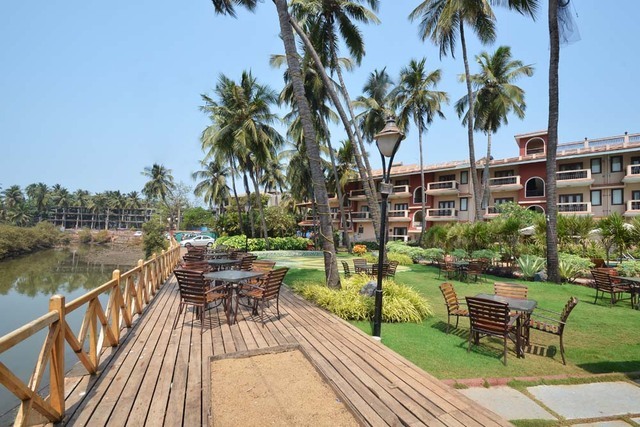 While shopping in Goa, one must visit the Flea Markets at Anjuna, Mapusa, and Arpora Saturday Night Market for some amazing bargains on clothes, jewellery, accessories, electronics, home dcor, artefacts and handicrafts. 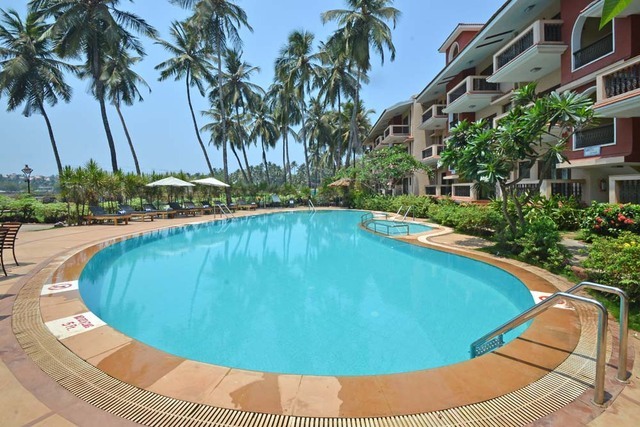 Winters from November to March is the best time to visit Goa.